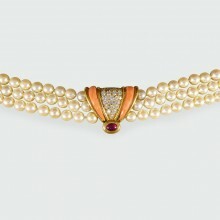 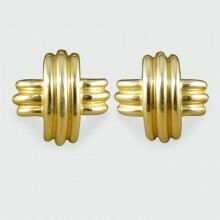 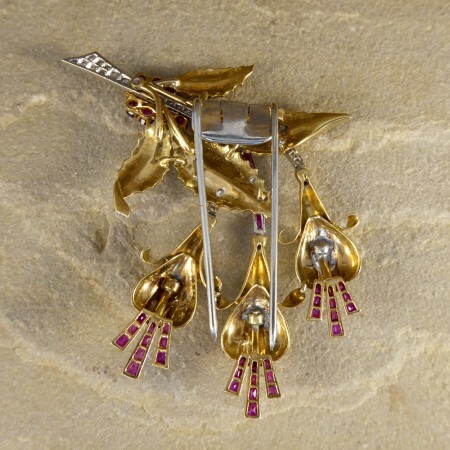 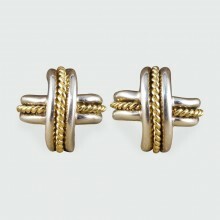 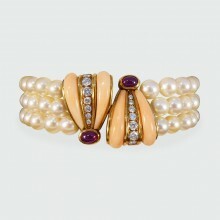 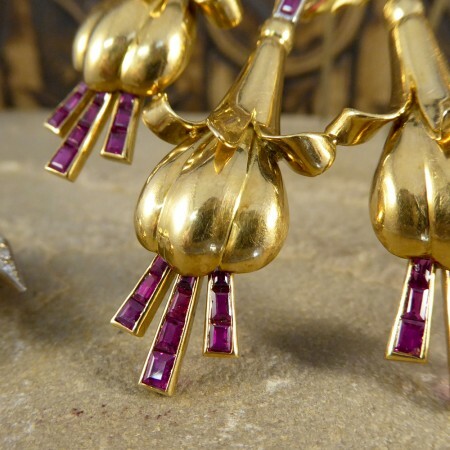 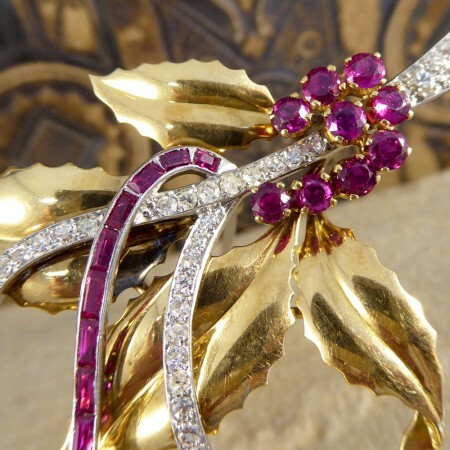 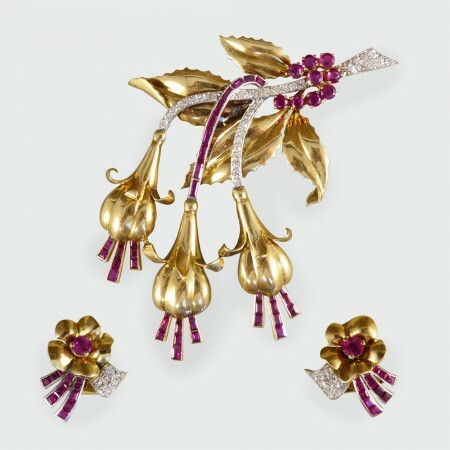 This lovely 1950's Earring and Pin set have been crafted from 18ct Yellow Gold and adorned with both Rubies and Diamonds. 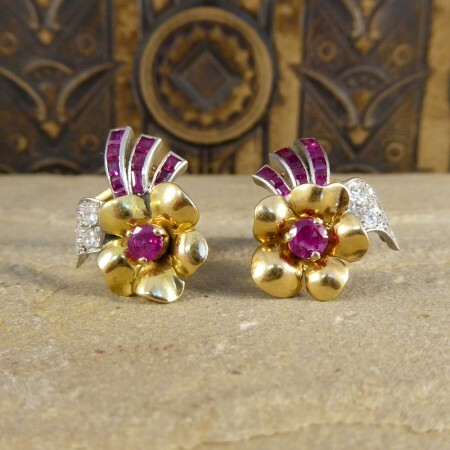 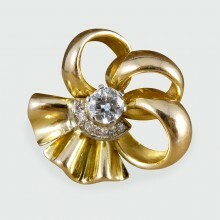 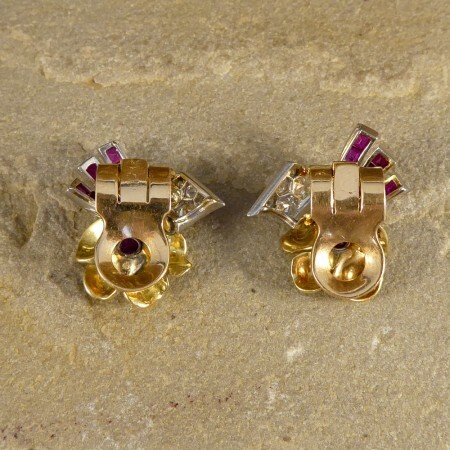 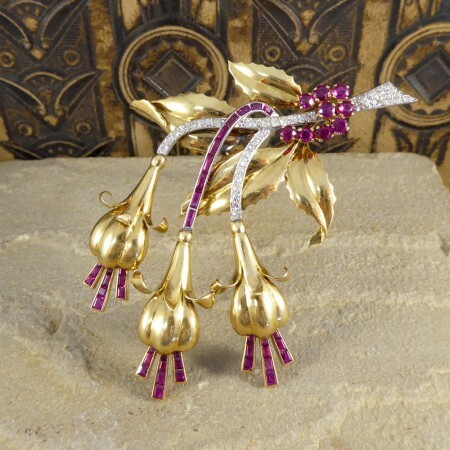 These clip on Earrings are very well matched showing flowers beautifully decorated with gems. 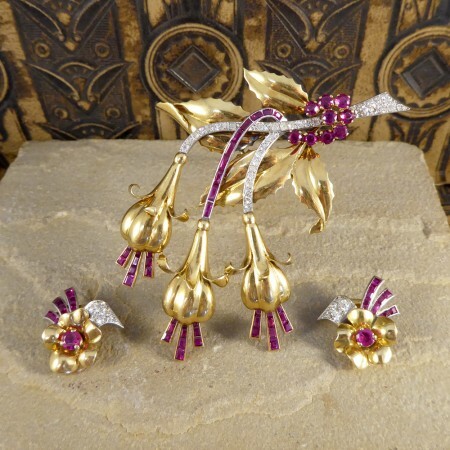 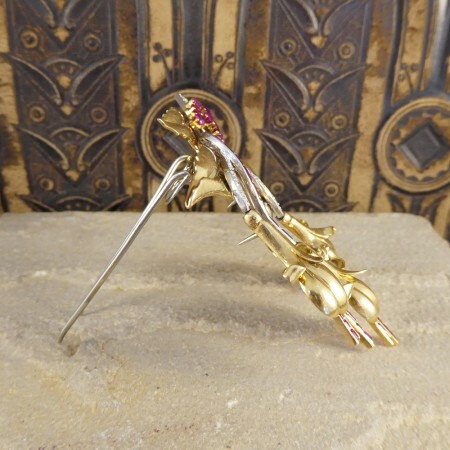 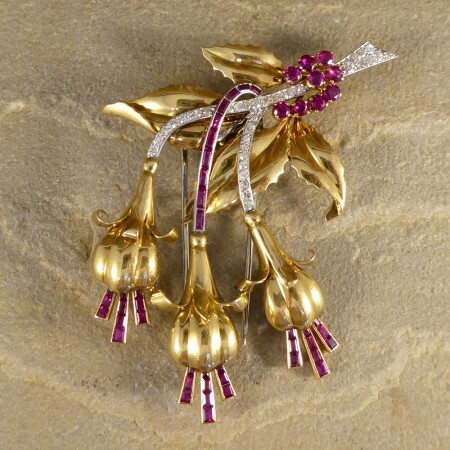 The set is completed with a sprung double pin brooch fitting piece, displaying Fuchsia flowers with the Rubies adding the vibrant colour to the set.